Celebrate valentines in service for those who love football! 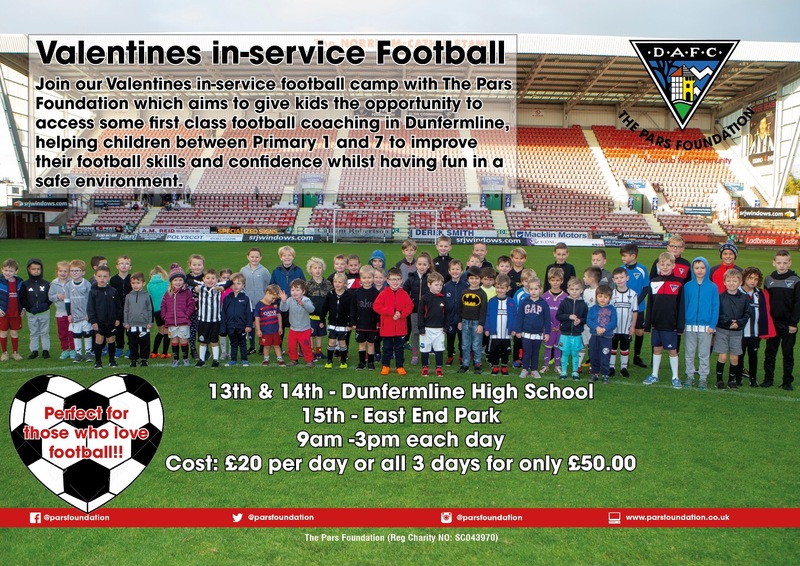 The Pars Foundation ever popular In Service camp returns with coaching at Dunfermline High School. The Pars Foundation will be giving kids the opportunity to access some first class football coaching in Dunfermline with the aim of helping children between Primary 1 and 7 to improve their football skills and confidence whilst having fun in a safe environment. As with all Pars Foundation coaching programmes, the emphasis will be on enjoyment, learning new skills, meeting new friends and participating in many small sided games. All coaches are SFA Licensed and Disclosure checked.